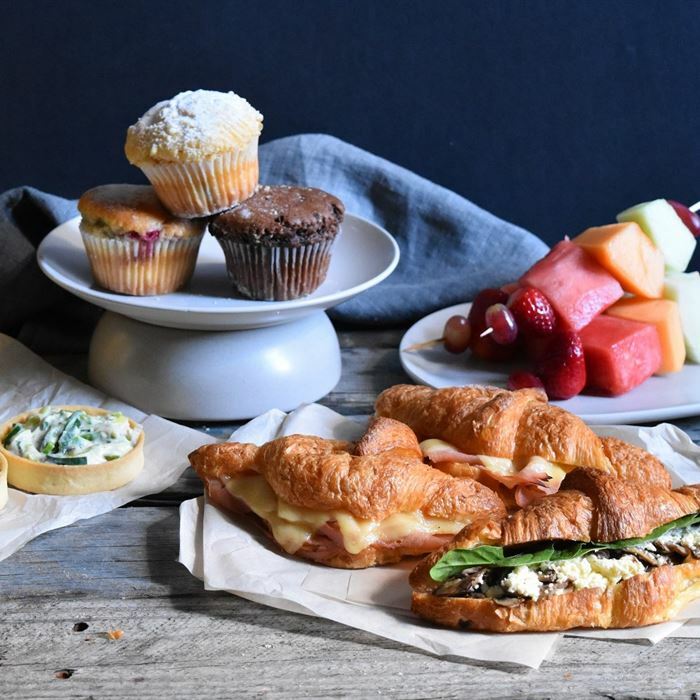 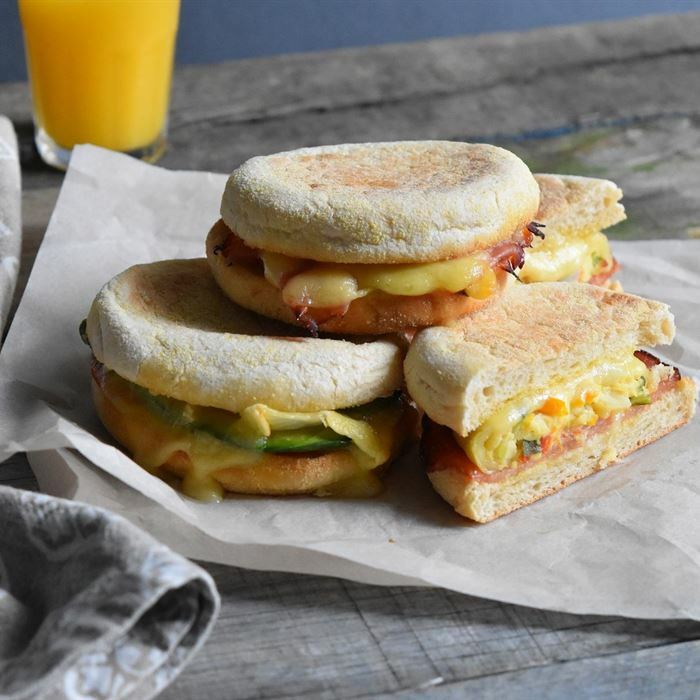 Traditional toasted English muffin with a choice of; cheddar cheese and leg ham, or Swiss cheese, frittata slice and crispy bacon, or fresh tomato, brie and avocado (delivered hot). 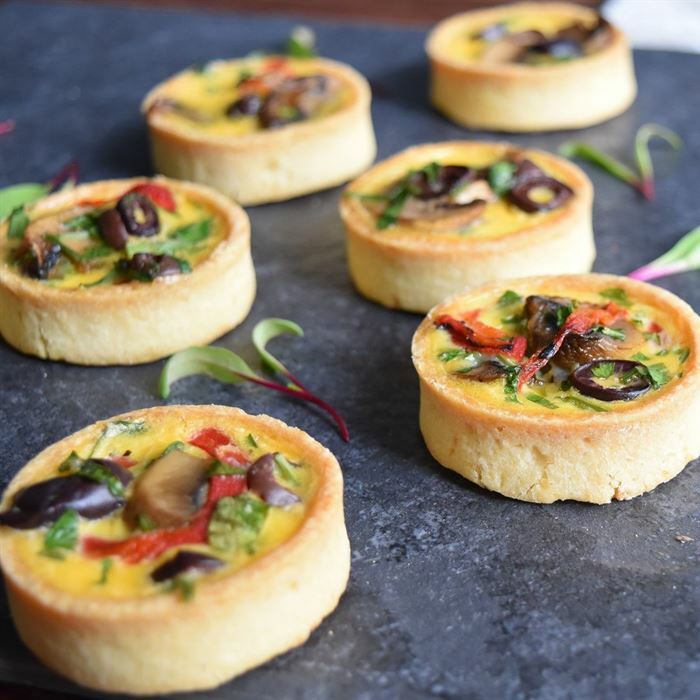 Smoky bacon with caramelised onion or roasted Spanish onion, sautéed mushrooms, Kalamata olives and roasted capsicum in a crunchy pastry tart (delivered hot). 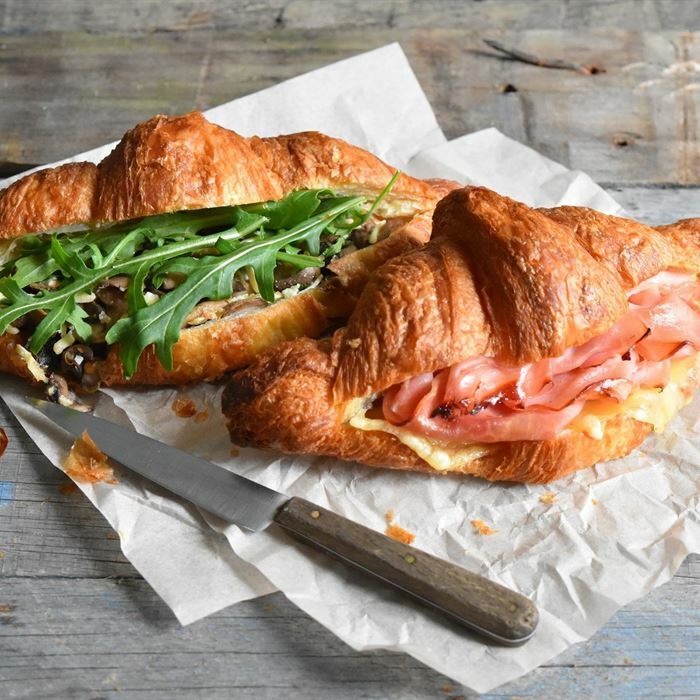 A large Phillippa's hand made croissant filled with double smoked leg ham and Swiss cheese or mushrooms, feta and rocket (delivered hot). 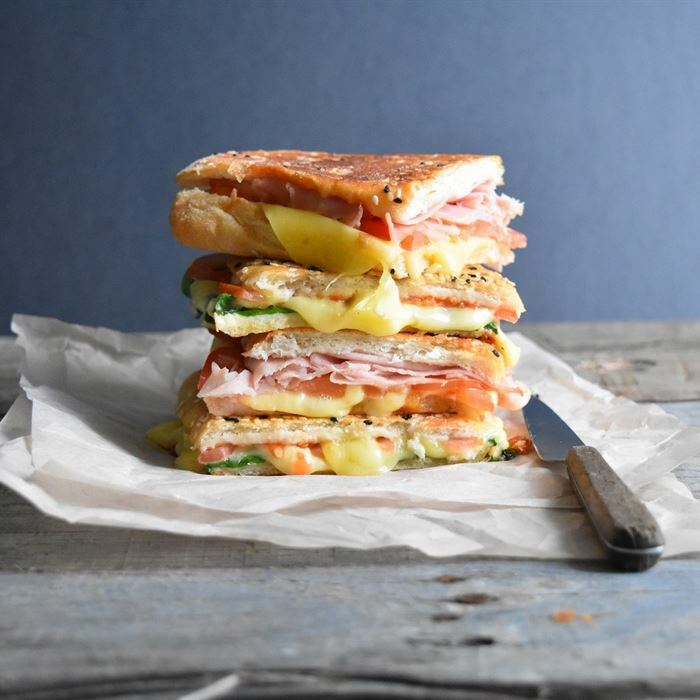 A great tasting roll filled with a choice of ham, tomato and gruyere cheese or tomato, spinach and tasty cheddar cheese (delivered hot and cut in half). 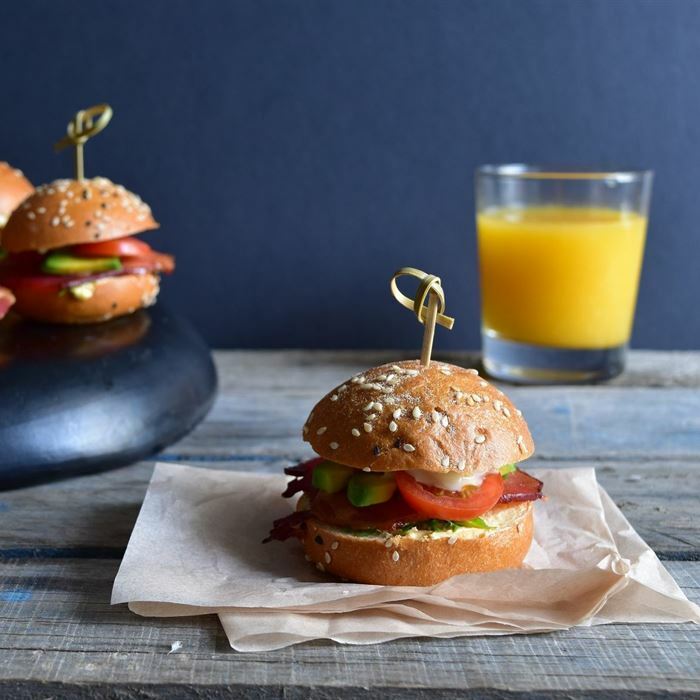 Crispy maple glazed bacon, lettuce, avocado and tomato in a mini toasted brioche bun (served cold). 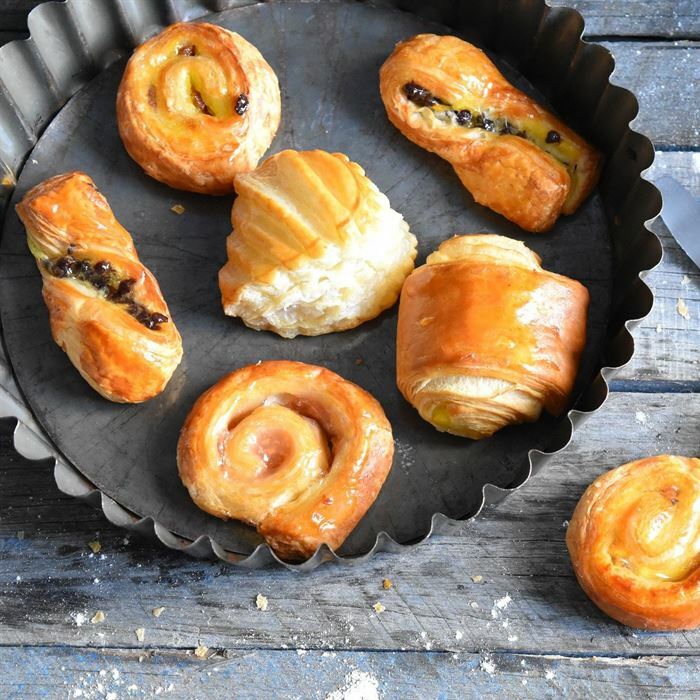 Freshly baked petit Danish pastries in a variety of shapes and flavours including fruit, chocolate, custard and cinnamon. 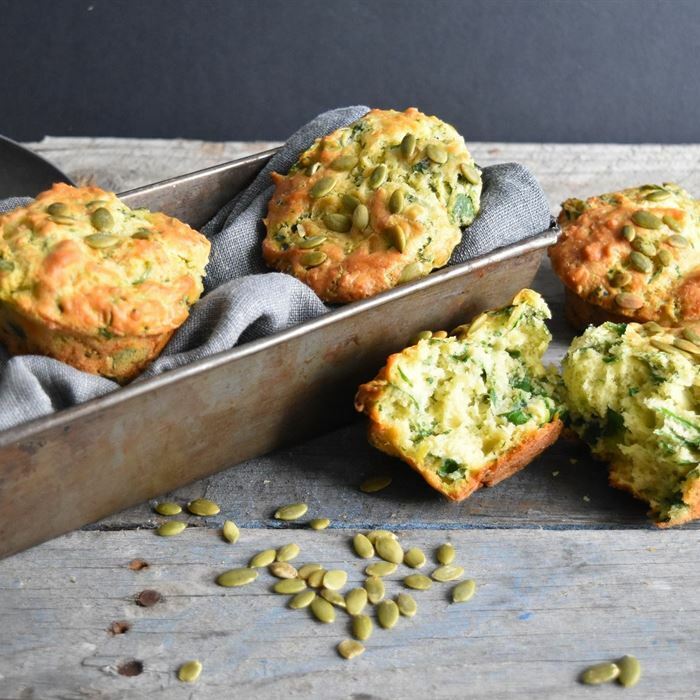 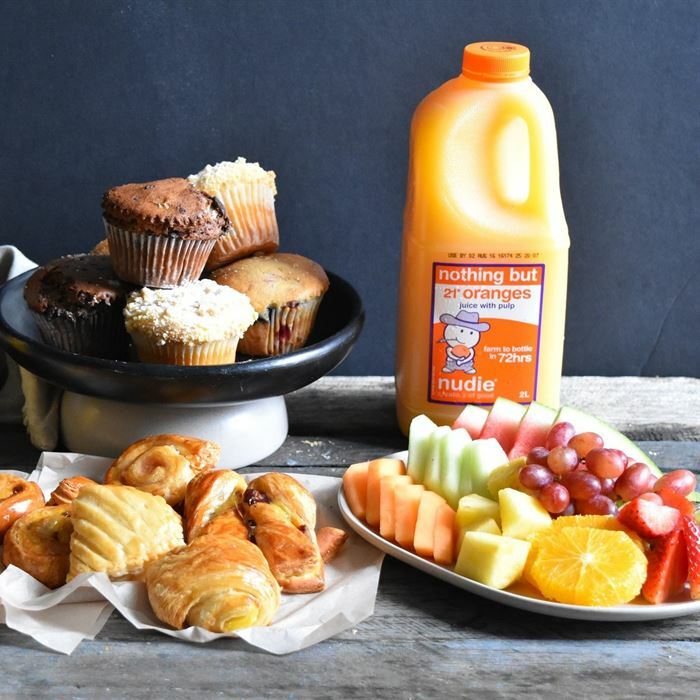 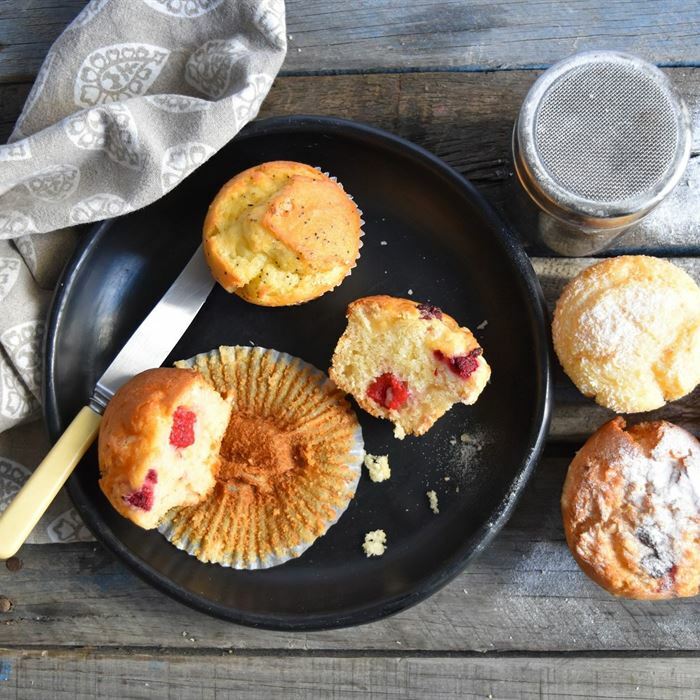 Home baked muffins in a variety of delicious flavours that change monthly. 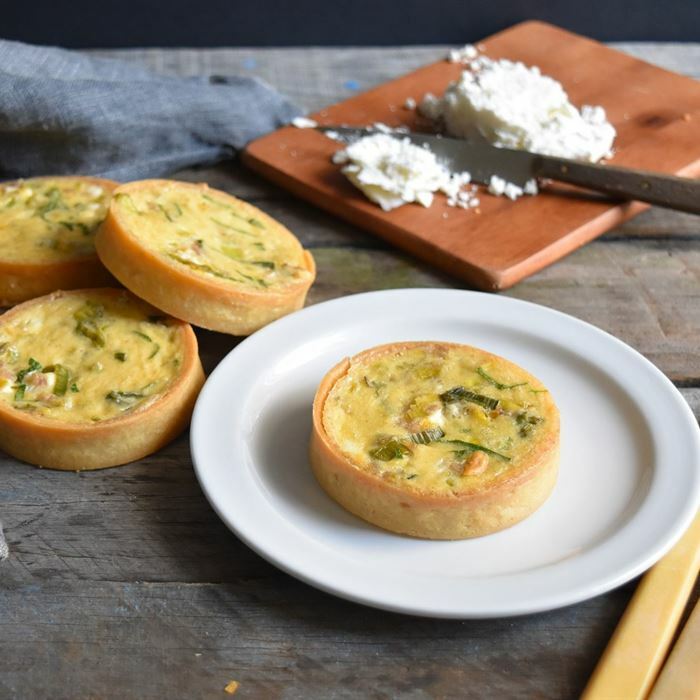 Leek and goats cheese in a crunchy pastry tart (served cold). 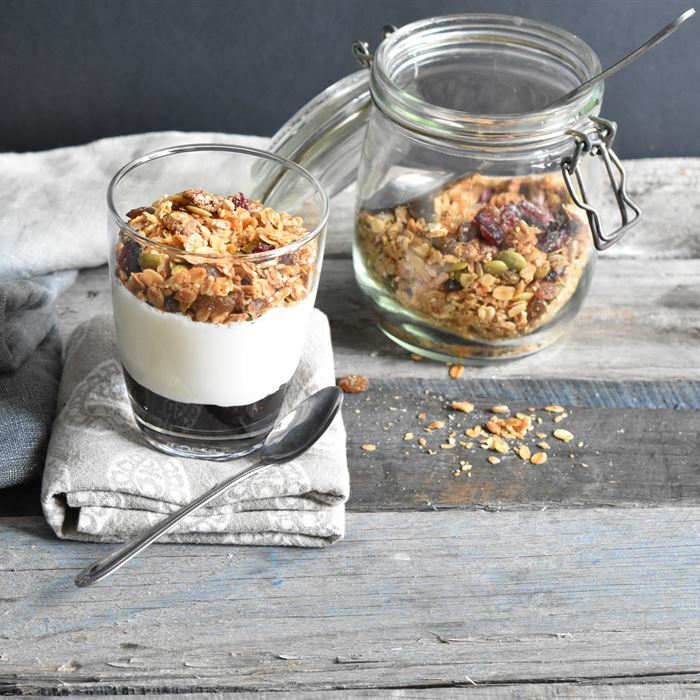 An individual cup layered with Greek yoghurt, berry compote and our house made granola of roasted oats, sunflower and pumpkin seeds, white sesame, sultanas and manuka honey. 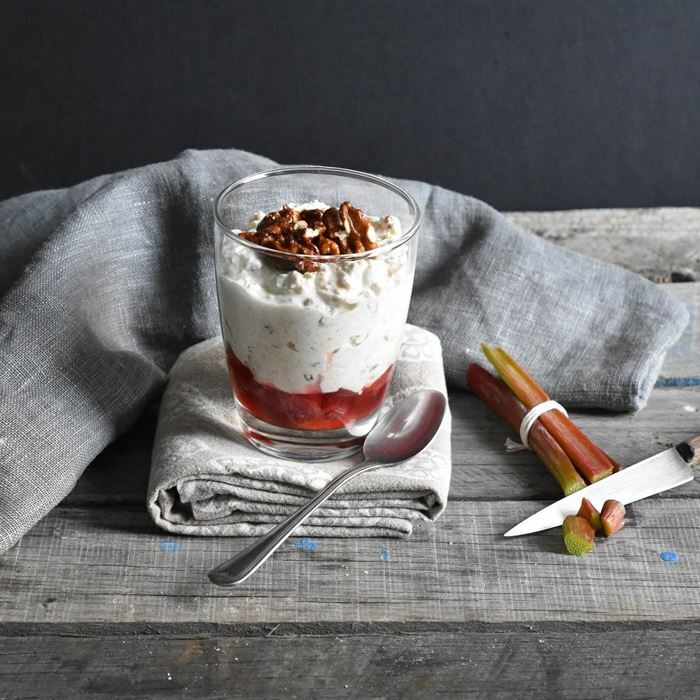 Traditional Swiss style muesli with rolled oats, freshly grated apple, dried fruits & nuts, rhubarb and yoghurt served in an individual cup. 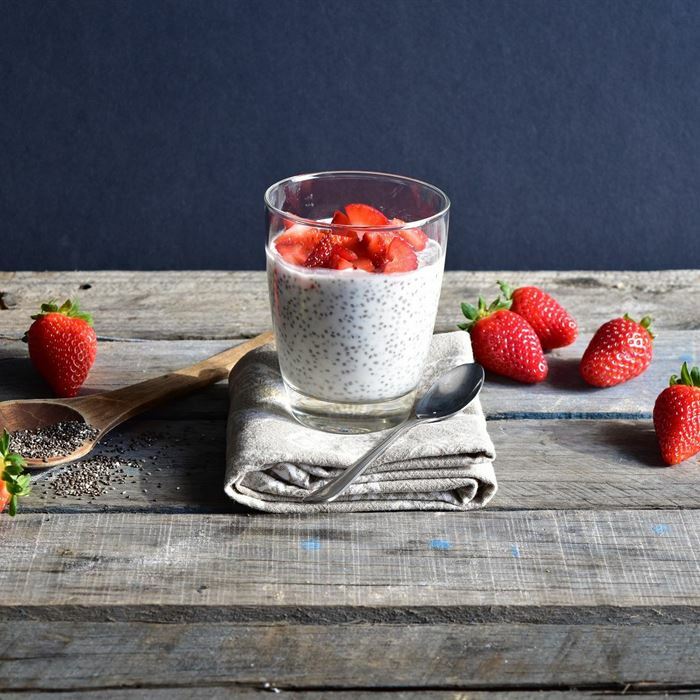 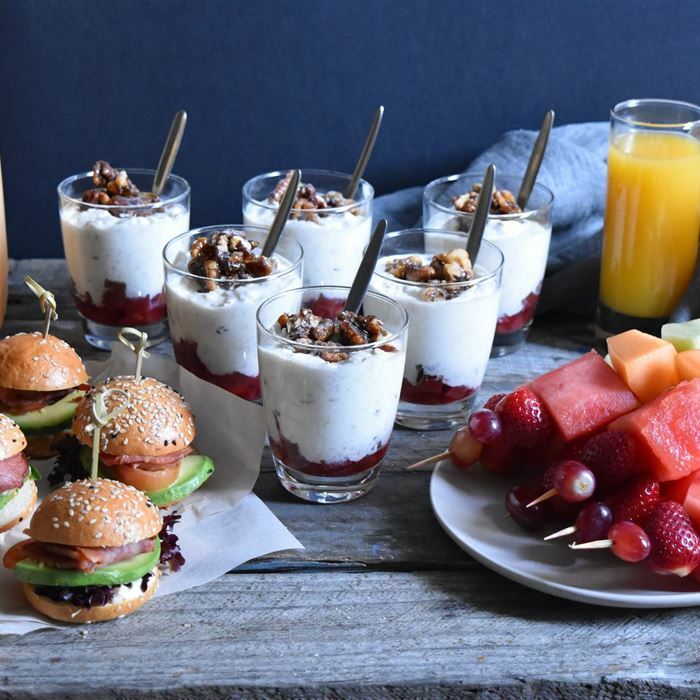 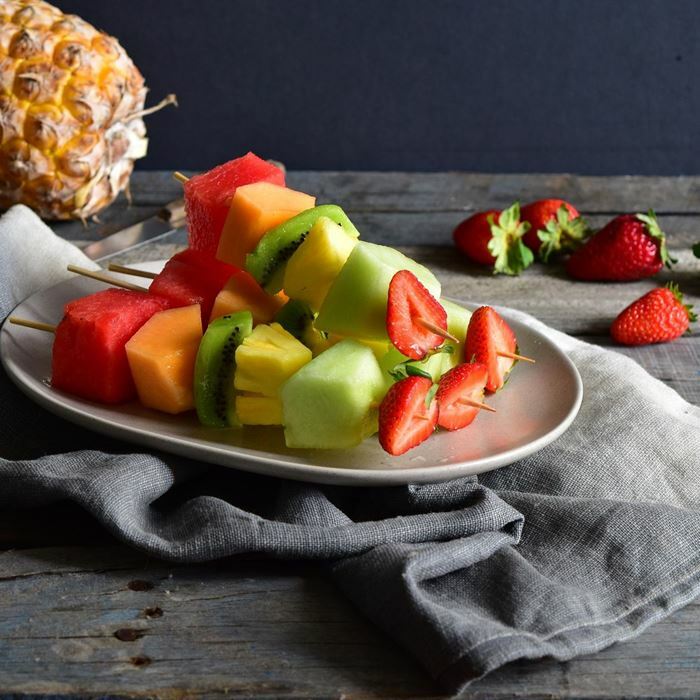 Fresh fruit skewers, bircher muesli, breakfast BLAT (served cold) and fresh fruit juice. 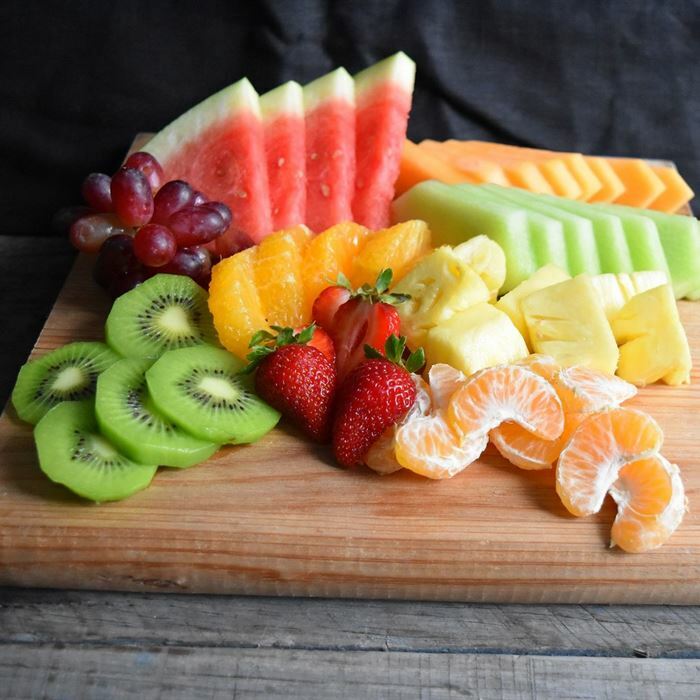 Fresh fruit skewers, home made sweet muffins, leek and goats cheese tart (served cold), savoury croissants (served hot) and fresh fruit juice.